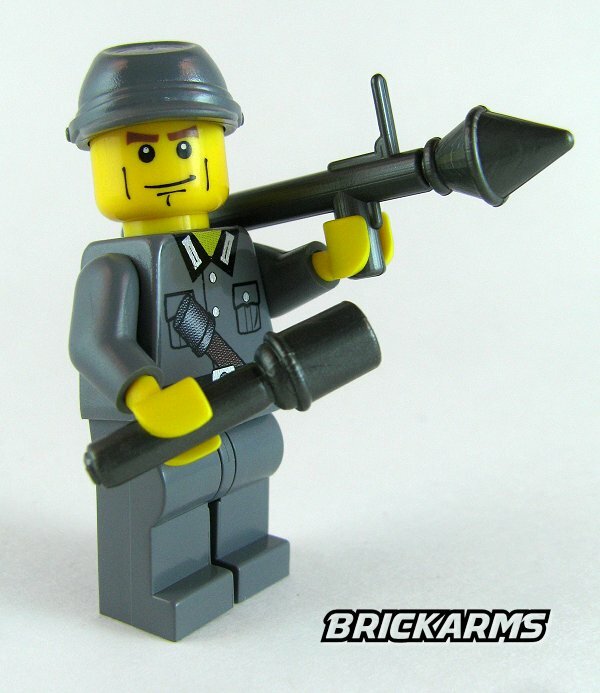 The portable tank-destroyer. 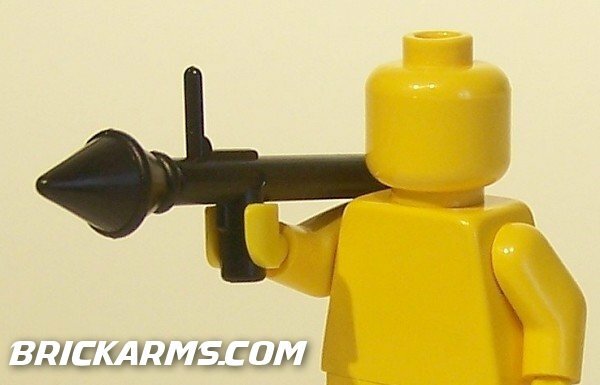 The warhead packs a wallop and can take out a Sherman, or an APC! 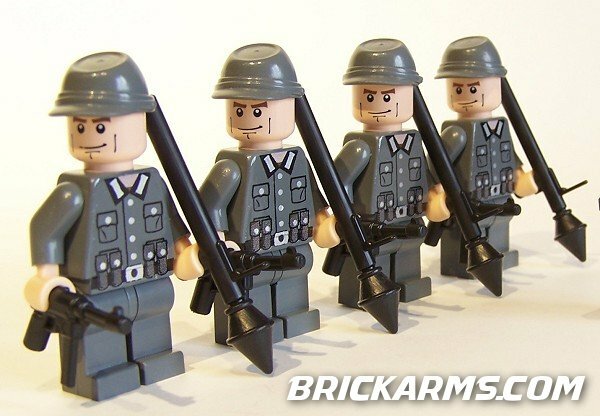 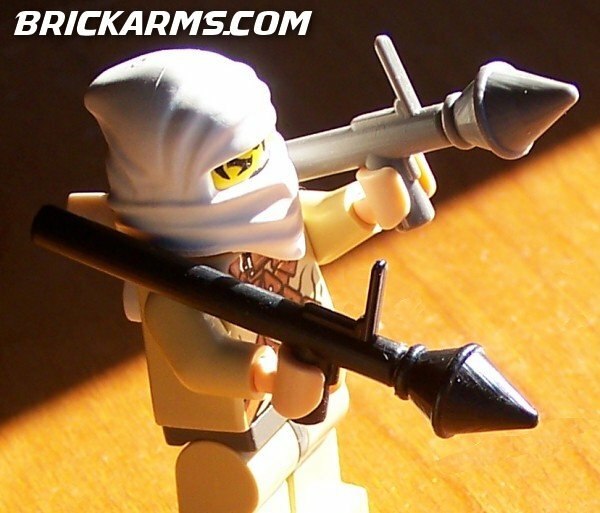 Versatile, the BrickArms RPG can be used as a Panzerfaust for taking out the Shermans, or even as a modern RPG against an armored personnel carrier. 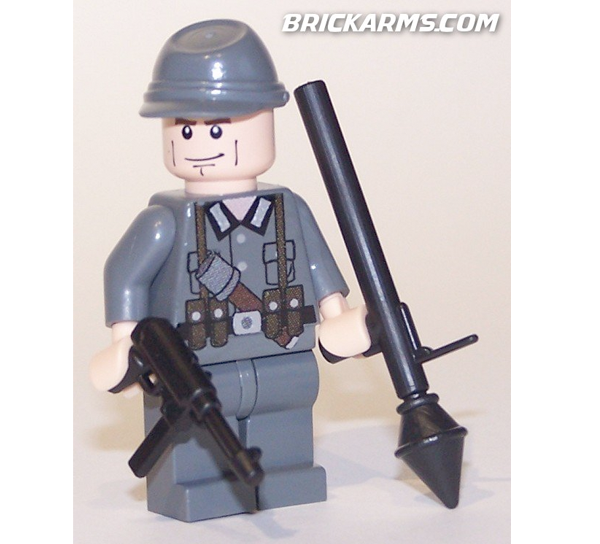 You could even buy two, and cut the warhead off of one of them for that "just-fired" look.